Target audience: Industry/HEI/Regulators/Local Authorities interested in water and energy savings. • Venue: Trinity College Dublin, tea/coffee and lunch will be provided. Registration is free however numbers are limited. • 2-min pitches: Companies and researchers involved in the areas of water and energy savings, are invited to express interest in pitching their work/product during the event. 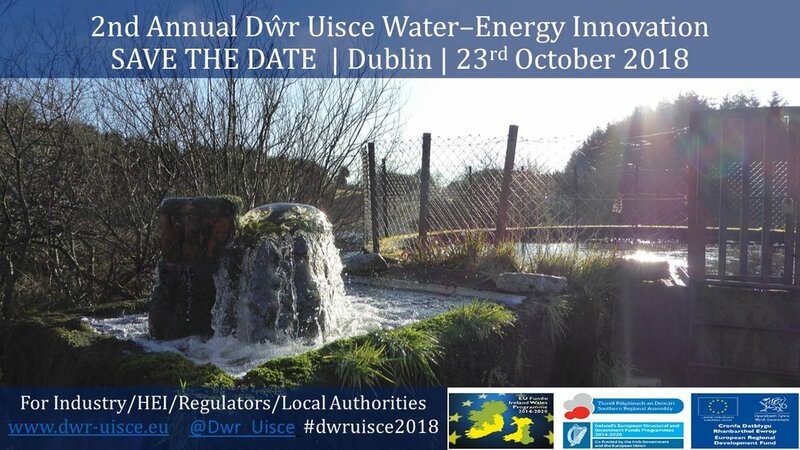 09.30 – 09.40 Aonghus McNabola, “Dŵr Uisce -Distributing our Water Resources: Utilising Integrated, Smart and low-Carbon Energy”. Trinity College Dublin. 09.40 – 10.10 Paul O’Callaghan, “Analysing successes, failures and opportunities in the water and energy nexus”. BlueTech Research (Private Sector). 10.10 – 10.30 Mike Pedley. “Back to the future - via the present: progress and challenges for energy in the UK Water Industry”. Welsh Water. (Private Sector). 12.00 – 12.15 Triona Collins, “Engaging with the rural water community: I must do Something”. Water Services, Tipperary County Council. (Communities Sector). 12.15– 12.30 John Durkan, “Doing more with less”. ABP Food Group. (Food Sector). 12.30 – 12.45 Benny McDonagh, “Rethinking Energy”. EPS Group. (Energy and Water Treatment Supply Sectors). 12:45 – 13:05 John Gallagher & Paul Coughlan, “Innovating for low‐carbon energy through hydropower”. Trinity College Dublin. (Conservation Charity Sector). 14.10 – 14.30 Dŵr Uisce Hydropower Demonstration sites. Irene Fernandez & Daniele Novara (Trinity College Dublin). Blackstairs Group Water Scheme, Ireland & Tŷ Mawr Wybrnant, National Trust, Wales. 14.30 – 14:50 Dŵr Uisce Heat Recovery Demonstration sites. Isabel Schestak & Jan Spriet (Bangor University & Trinity College Dublin). Penrhyn Castle, National Trust, Wales. 14.50 –15:10 Demonstrating Cluster Growth. Ana de Almeida Kumlien (Trinity College Dublin). Demonstrating learning in action in a water and energy smart specialisation cluster. 15.20 – 15.30 Aonghus McNabola, Dŵr Uisce project, Trinity College Dublin. Closing remarks & call for action.